Scientists are now learning what spiritual traditions and metaphysicians have been teaching from the beginning: Everything in existence is One, each thing connected to every other within a vast, incomprehensible network of energy and consciousness. We are, in fact, mirrors of a great Intelligence some have called God, Prime Creator, Great Spirit and many other things. Within ourselves we carry its very Essence and, at one time, we experienced the bliss of living in this multi-dimensional power, freely communicating with All That Is. Yet, due to events in the history of our planet that many cultures have come to call "the Fall," we experienced damage to our original divine template, lost many of our divinely-gifted abilities, and fell into the illusion of separation from Source. Part of this tragedy involved the mutation and destruction of our original and glorious DNA matrix. There are various levels to DNA activation. A beginning point for many is to activate the existing double-helix, turning on formerly inactive codons, previously given the misnomer "junk DNA." This has been verified by scientists in numerous individuals around the globe who are now demonstrating "super immunity" as well as greatly enhanced psychic abilities, telekinesis and other manifestations. This, perhaps, is a first step toward bodily immortality. Additional stages of activation involve the recombination, integration and "rebooting" of additional strands which were believed to be present in our divine template before "the Fall," during which time our species had life spans of thousands of years. We in the small, but growing, DNA activation community generally believe that these strands still exist on the etheric level -- or possibly as fragments at the physical level. Wherever they reside, it is obvious they can be instigated into functioning, as this is evidenced by the finding of individuals who are now exhibiting triple helixes in laboratory blood tests. What's so Important about DNA? DNA has a light-attracting and light-programming quality to it. It is magical; wondrous...the foundation of every process, every cell, all regeneration and manifestation in our body temples. It behooves anyone seriously interested in health or spirituality to bring healing love and light to his/her DNA. What are the effects of Activating DNA? People who have activated their DNA report a wide range of effects including an increased sense of well-being, feeling more relaxed and sleeping better, having improved lucid dream function, expanded levels of creativity, and increased remote viewing skill, to name a few. Is this against my religion? People from all religions and spiritual paths can participate in shamanic and Light Body work. There is no doctrine involved and you may bring with you any loving guide or Deity that you revere. In fact, it doesn't matter if you even believe in God at all. Nor do you have to buy into the idea emerging within the "New Consciousness" that our species originally had a 12-strand helix or more. All that is necessary for this work is a desire to bring your DNA and the whole of your being up to its fullest maximum potential. By activating your Light Body and DNA, you can heal genetic anomalies, raise your IQ, increase your intuitive abilities, and much more. As time passes, you may find that a third strand has formed (maybe even a fourth!) -- and this has already been reported by biologists and molecular chemists. But whether you see these results on the physical level or not, you will experience the power in your life of clearing the DNA of the legacy of oppression and connecting more deeply with the Great Mystery -- what scientists call "dark matter" -- which lies beneath the level of subatomic particles. This is the place, at the heart of all DNA, where matter emerges from the Higher Vibrational Realms of Existence. THIS is the true secret of our DNA. It is the birthplace of matter, ground zero, the home from which we came; the place called by indigenous people "the Void." Read the Sessions Type page to determine the appropriate services for your needs then click on Payment page to make an appointment. DNA Activation is the fourth and final session done as part of the Light Body Activation Series. Prior to DNA activation, we first bring the light body and chakras up to the the vibrational level of the 7th dimension. This helps clear the energetic field and open the energy portals, allowing high frequency energy to stimulate the dormant DNA. On this frequency, your DNA and other parts of you are also open to messages from higher dimensions as well as memories from that "place." 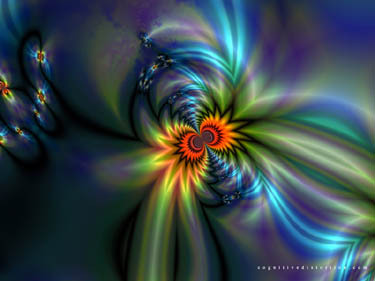 When one considers that DNA is activated through intent, as well as the application of high-frequency vibrational energies, the connection to the Illumination Process and Light Body Activation becomes apparent. As we clear all imprints and blockages of the luminous body, we are enabling the body to drink in the optimum amount of energy required for evolutionary processes. This increased influx of light sparks excitation of the DNA, which then begins to rearrange matter according to the intent you set. With Light Body Activation, we then provide ever-increasingly higher frequencies for the energetic matrix (all the way down to the DNA) to absorb and utilize, allowing new patterns to emerge in alignment with the current ascension energies now infiltrating the planet. This can allow the body, ultimately, to shift into its multi-dimensional nature, freed from what we have considered three dimensional laws of time and space. To approach DNA Activation through the work in this way is to allow a gentle and gradual unfolding of massive evolutionary processes. My own experience leans me toward applying slow and gentle activation which enables harmonious release, reorientation, and grounding in such a way as to reduce or eliminate the plethora of potentially uncomfortable side effects that may result from frequency modulation of the body temple. Though DNA activation does not fall entirely under the category of energy healing, this work -- combined with Illumination Sessions and Light Body Activation -- forms a complete healing picture for the 21st century as we move toward planetary attunement and ascension. I recommend that anyone interested in this work do a complete series of sessions, gently and progressively going into ever deeper layers of healing in a way that enables the individual to have sufficient time and support to allow for the rise of any questions and consequences, and for the integration of all the work to fall into place. It is no small feat to heal and integrate all aspects of one's emotional, mental, spiritual and physical bodies at all levels of one's being and, like all efforts at self-realization and evolution, this work should be treated as serious and sacred, worthy of one's time, energy and utmost attention. For those specifically interested in full 12-strand DNA activation and ascension, I recommend the Light Body Activation Series and a minimum of six Standard Ilumination Sessions. This course generally allows most people to bring their vibrational status up to a level sufficient to instigate spiritual gifts and abilities and to activate the full 12-strand program which, my guides assure me, still resides in the body temple. This work may be combined with spiritual guidance, coaching,counseling and training sessions, or other supportive modalities in which you may already be engaged. What if I'm still not sure what to do? It's perfectly healthy and reasonable to have doubts about any new technology that involves your personal DNA or energy matrix. I encourage every individual to consult Spirit, and to listen to their inner voice and higher self before working with any new spiritual healer, teacher, or method. Ask Spirit if this is the right process and right person for your highest good and, if so, if this is the divine right timing. If you still feel attracted to this work, to these words, to the energy of this website, or to anything else herein, this may be an indication to you that you are being led here for a reason. Continue to listen until you feel comfortable that you know what that reason is, then go for it. Commit at the deepest level for the highest result. I feel it is important to note that it has not been easy to bring this work to Earth in its current state of chaos and polarity. Every person who has brought through an Activation Technique and is providing this service has done so through an intense process of immense struggle, spiritual discipline, and years of dedication to the higher good of this planet. For this, the healers and activators of the coming age deserve our respect and gratitude, lest we take the great gifts of Spirit being given to us for granted. In that spirit, I thank all shamans, teachers and healers everywhere, past and present, for maintaining the traditions and holding aloft the light for planet Earth. Ho! © Copyright ShamanicLightWork.com, 2006 all rights reserved.